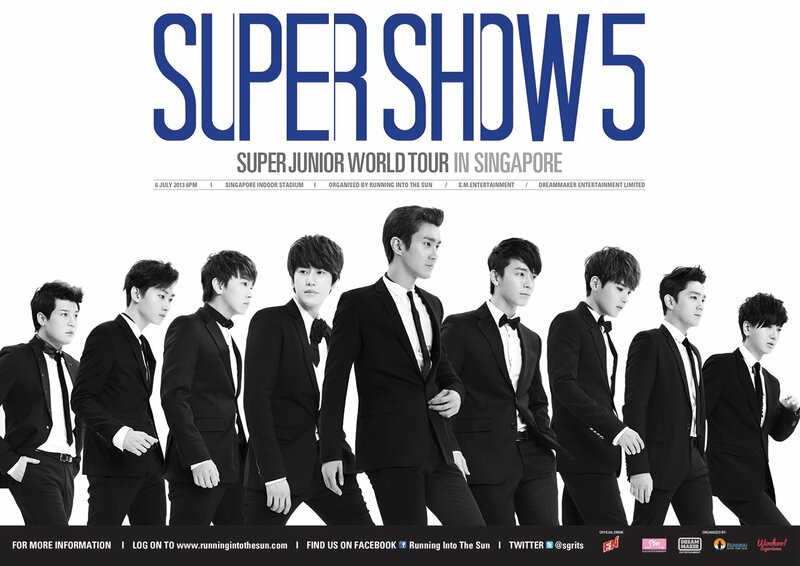 Ticketing details are finally out for the highly anticipated Super Show 5 World Tour happening in Singapore this July! Ticket sales for this concert will begin on the 1st of June, 10am at all SISTIC outlets; also via the SISTIC hotline and web site. 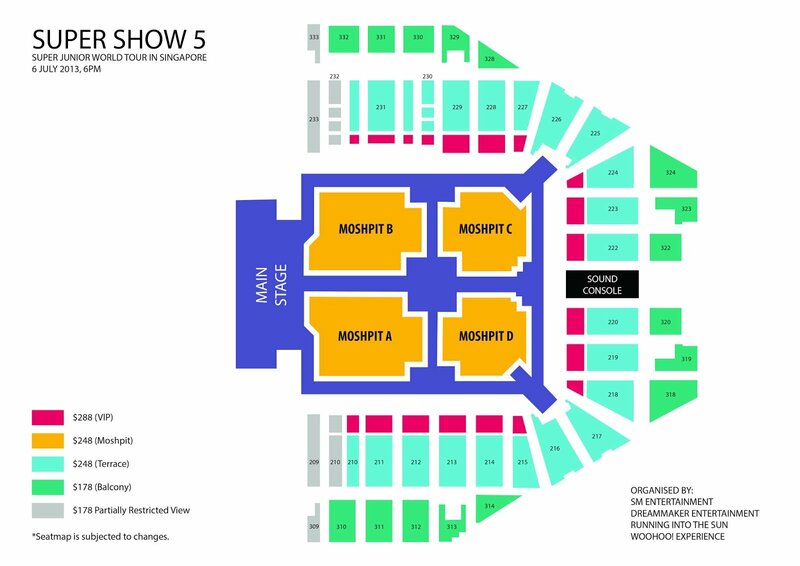 A VIP category (with tickets priced at S$288) has been included in the stage design, perfect for fans who are eager for an even more personal and interactive experience with Super Junior. 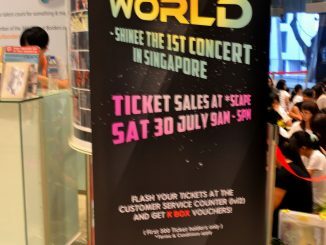 There are also the usual mosh pit, terrace and balcony ticket categories. 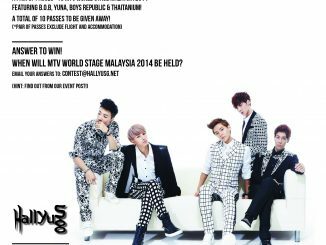 Super Show 5 promises to be an exciting event not to be missed, with cross-dressing segments and the usual charismatic dance stages performed by the Kings of Korean Pop. The group is also more involved with the planning of this concert, as Eunhyuk and Shindong have been said to be pioneering concert planning; from setting the main theme of the concert to song selection and costume design. 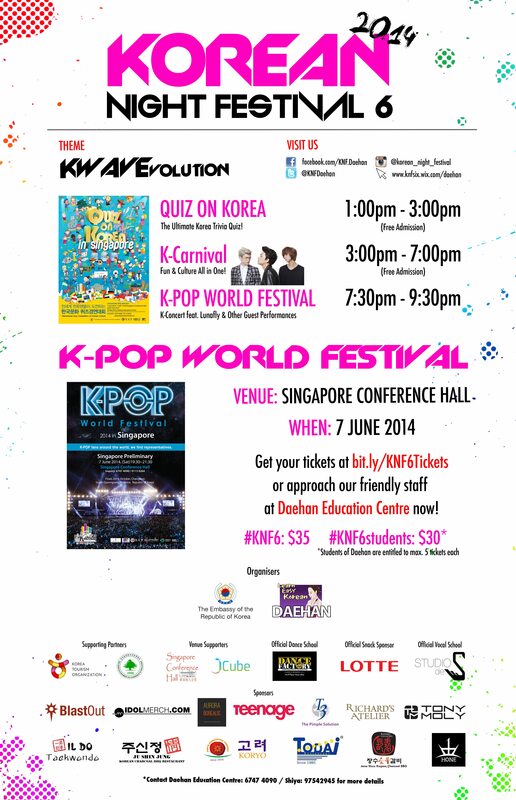 For more information, don’t forget to follow concert organizer Running Into The Sun on their Facebook page! Stay tuned to HallyuSG on Twitter and Facebook as we bring you more updates with regards to the concert.